Attention home builders! Include solar in your community with no upfront costs. Jeremy is Vice President of Government affairs for SunStreet and oversees the company’s state and national legislative and regulatory efforts. In this role, he works closely with regulatory groups, law and policy makers. With broad legal expertise in clean energy and environmental regulation and policy, he frequently tapped for his leadership. He is currently the Chair of the Nevada Governor’s Technical Advisory Committee for Distributed Generation and Storage, as well as the Chair of the Nevada Solar Energy Industry Association. 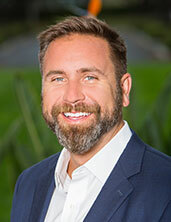 Previously, Jeremy was the Director of the Governor’s Energy Office in Florida. He is based in Miami and holds a LLM in Environmental Law from Florida State University and a JD from New York Law School. Please mail payments to PO BOX 206315, Dallas TX 75320-6315.